How Does Image Resizing Work for Products? The size confinements for your store's small thumbnail images when they are created by the store. Thumbnail images usually appear in category pages, as related/upsell items, or on the home page. The size confinements for your store's main product images shown on the product listing page. The size confinements for your store's zoomed images and also the size that large images will be compressed to when assigning them to products. 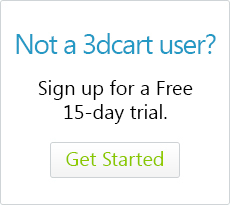 The size confinements mentioned above will apply to images as they are assigned to products in the 3dcart Online Store Manager. In other words, if you have an image that is 600x600px, and assign it to a product via the Online Store Manager interface, the image will be compressed to the Large Image and Thumbnail Image constraints accordingly. 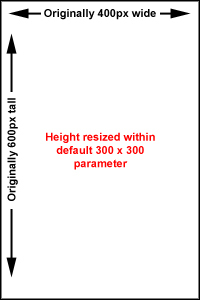 The resizing will occur during the image assigning process. 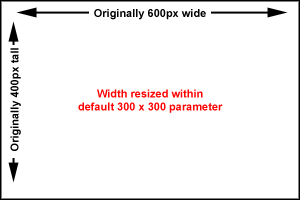 If the original 600x600 image were to be re-uploaded after the product image has been assigned, you will overwrite the sizing. It is also important to note that images which are uploaded to your site (whether via FTP or the file manager) and then assigned through a CSV import will not be affected by these settings. Alternately, if the image is taller than it is wide (400x600), the parameters will resize it so that its height is confined to the 300 pixel range and make it 200x300.